The Clerk's Office is responsible for maintaining all of the records for the township. 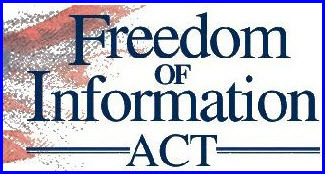 Since the township records are maintained by the Clerk, all Freedom of Information Act (FOIA) requests should be addressed to the Clerk. To obtain FOIA information, requests must be made in writing or by using this form. Please describe the information you are seeking in as much detail as possible and the format you want it in. FOIA does not require agencies to do research or create records. The township must furnish the information to you within 5 working days. If certain conditions apply, the township can issue a 10-day extension with notice. Fees are charged and are itemized on the form.